CocktailSafe is a site dedicated to safer cocktails - safety in ingredients and in techniques. Much of the fun in creating cocktails is in experimentation with new/unfamiliar ingredients and techniques. But some of those ingredients, even though they may be in commercial products, are regulated in quantity or processed in a way to make them safe to consume. Recipes in old cocktail books (and even in some new foraging books) frequently include dangerous/poison/regulated plants or additives that have since been banned for food use. But when one attempts to look up the safety of many ingredients (and techniques) the internet is full of not-so-great information and confusing language on government regulatory websites. 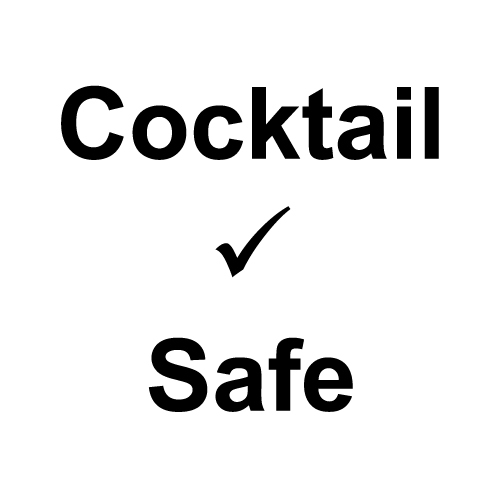 CocktailSafe aspires to be a thoroughly researched one-stop-shop for information about safety in cocktails. The website will focus both on safety and legality of ingredients used, initially focussing on US law but hopefully expanding to EU laws going forward. The idea for this website developed over several years when we saw bartenders using illegal and/or potentially unsafe ingredients like tobacco bitters and homemade tonic water in cocktails, and seemingly unsafe handling of liquid nitrogen and non-food safe containers. This lead to a seminar at Tales of the Cocktail lead by Camper English and Avery Glasser, a private Facebook discussion group lead by Glasser, and several articles written about the topic in various publications. CocktailSafe is the project of drinks writer Camper English with Avery Glasser as advisor. The project is supported by a grant from the Tales of the Cocktail Foundation. The site was launched in December 2018 and will be built out over the coming months. There's a lot of work to do, so please pardon the incomplete entries as we work on it. To be kept up to date on new entries and topics for discussion, please subscribe to the RSS feed or the email newsletter. Camper English is a cocktails and spirits journalist and educator with a particular interest in science and technology. He has contributed to numerous publications and his own website is Alcademics.com. Learn more about Camper's work at this link. Avery Glasser is the co-founder of Bittermens, a bitters company that expanded into craft syrups and spirits. In this role he has dealt with dangerous and/or controlled ingredients, as well as the relevant legal procedures and approvals to use them in products. He has been a leading voice in the cocktail safety movement over the last several years and will be serving as an advisor on CocktailSafe. You can help promote safety in cocktails by linking to this website from your own and your brand's website and/or social media. More links to the site will improve CocktailSafe's search engine ranking, as well as show that you care about safer cocktails! Please see the Support page. All material on this website is the under the copyright of CocktailSafe. Please do not republish more than short excerpts from this website, and always link back to us so that people can find the original material. By having a centralized source of information for cocktail safety we believe we can do the most good for the most people. This website is informational only, with the goal of helping people make safer cocktails. We recommend common sense, responsible consumption of alcohol, and thorough fact-checking. Meeting every suggestion on this website still does not ensure absolute safety of your drinks, but we sure hope it helps.